M5 drivers will be given an even more direct reminder of their car’s performance capability by technology that brings the distinctive sound of the high-performance V8 – in all its glory – into the cabin of the new BMW M5. 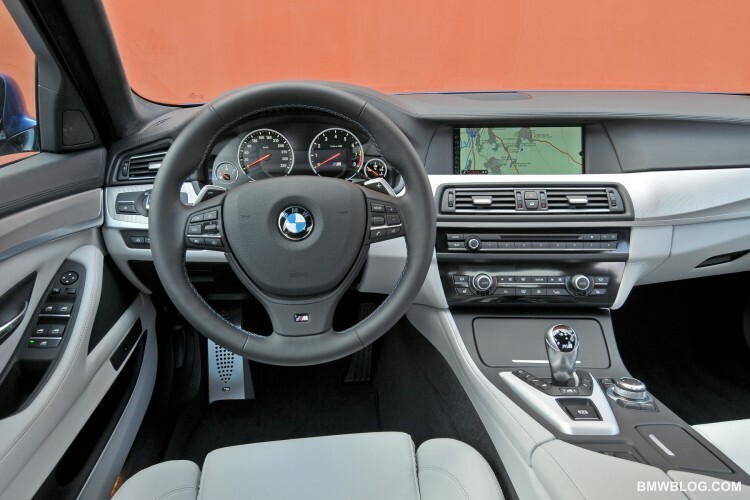 The Active Sound Design technology specially developed for the new BMW M5 takes its cues from the driving situation at any one time to deliver an accurate reproduction of the engine’s sound through the car’s audio system. The system’s digital signal processing exchanges data directly with the engine management, allowing it to reflect the engine’s revs and torque, and the car’s speed over the road. The result over a smoothly driven journey is a discreet soundtrack in keeping with the harmonious and assured characteristics of the V8 powerplant. A stamp on the accelerator, meanwhile, prompts an immediate audible response to match the instantaneous – and typically M – burst of power from beneath the bonnet.